“I have done Istakhara (Asking Allah's Guidance) about Pakistan. I saw that when the time will come; Pakistan’s territory (borders) will vastly expand. It will become the most powerful country and a Governance System, full of Equality & Justice will be established here on the basis of Khilafat-e-Rashida”. It will become the most powerful country and a Governance System, full of Equality & Justice will be established here on the basis of Khilafat-e-Rashida”. when the time will come;انشاء اللہ غزوہء ھند Pakistan’s territory (borders) will vastly expand. great work brother...if you make the same page "future of pakistan" on facebook ,the knwoledge can be spreaded to a huge number of people in pakistan speacially todays disappointed youth.as it is a sacred noble work.do think about it.mashallah..
My first preference is to complete Allama Iqbal Poetry blog, 10 books have been added, now working on Last book, then I have to complete its Roman Urdu & add English translation. I am making Iqbalurdu blog replica in WordPress also. 3rd blog is also in progress which I will introduce here soon, but your suggestion is very valid. I will really think about it. nothing gonna happen. we are a coward nation. we can't take any action against the powerful, but happy to kill our own. these predictions have been in the market for like 1000 years and there is no mahdi and dajjal ever appears. Mahdi concept was created by shia to create difference between muslims. I challenge any of the reader to provide a hadis from sahih bukhari about mahdi. Imam Bukhari knew that shia made this whole concept of mahdi just to create fasad and difference between muslims, thats why Imam Bukhari didn't include a single hadis in his book. tu kia khudai fojdar hai ?. Yeh jamati talibani thinking sab se pehle apne army par azmao jo mulk ko loot kar kha chuke hain. tere jese zaleel logon ka zor sirf kamzor awam par chalta hai . jese hi tere jeson ke samne koi sahib-iqtidar ata hai , tu foran us ko sajda karle ga.
lanat hai tujh par or tere jeson par. tere andar itni himmat hai to kisi foji afsar ko mar kar dikha. us ke haath paon kaat jin ki marzi se america rozana pathanon ko mar raha hai. ek bat bata, tere quid-e-azam ka pakistan to kab ka toot chuka. bangalion ne punjabion ke moon par thook kar apna mulk alag bana lia, ab baqi bacha hoa pakistan main bhi baloch or pathan punjabion se khush nahi hain. bas kuch din or lagain ge, balochstan or sarhad or karachi bhi alag hojayin ge pakistan se. Allah k azaab se dar!! tere pas koi jawab nahi hai mere questions ka. tu zaroor jamati lagta hai. jab jamation ke pas koi jawab nahi hota to wo yehi kehte hain. main bhi tumhain yehi kehta hon, Allah ke Azaab se daro, apne aap ko dekho, dosron ki ghaltion par nazar mat dalo. tum jeson ka yehi almia hai , pori zindagi tanqeed karte hoye guzarti hai , apne aap ko kabhi sahi karne ka khayal nahi ata. dosron ke hath paon katne ke bajae apne amaal sahi karo. "bas kuch din or lagain ge, balochstan or sarhad or karachi bhi alag hojayin ge pakistan se." bss jiger tu issi aas main zindagi guzar de apni. tu tootnay k khwab dekh aur main pakistan ko mazboot honay k khwab dekhta hun. waqt btaye ga, tjhe bhi aur mjhe bhi. main tu bas itna janta hun k 27 ramzan ko bn'nay wala ye mulk tootnay k lye nhi bna..
"main tu bas itna janta hun k 27 ramzan ko bn'nay wala ye mulk tootnay k lye nhi bna.. "
jigger , mulk to already toot chuka hai. kia bangal pakistan main shamil nahi tha?, kia bangalion ne pakistan ke qayam ke liye koi struggle nahi ki thi? Kia bangalion ka Pakistan par koi haq nahi tha? jese ke tere al-badar, al-shams, or army walay samjhtey the ke bangali to ghaddaar hain. asal son of soil to punjabi hai. baloch, sindhi, pathan or urdu speaking ko to bas pakistan main rehne ki jaga mili hoi hai. tu kia samajhta hai , yeh sari ethnic groups pujabion ko pakistan asani se harap karne dain ge. baluchistan main pehle hi azadi ki tehreek chal rahi hai. jald hi pathan bhi jahad ka jhanda buland kardain ge punjab army ke khilaf. phir sindi or muhajir bhi un ke sath mil kar punjabi army ke khilaf jahad karain ge, phir asli pakistan wujood main aye ga.
is ka matlab hai ke jo pakistan 1947 main bana tha. jo pakistan 27 ramzan ko Allah pak ke amar se wujood main aya tha , us main ek kharabi thi?. matlab bangalis jo 28 saal tak pakistan ka hissa rahe, wo ghalat pakistan tha?. asal pakistan to bangalion ke pakistan se bahar nikalne ke baad wujood main aya hai. is ka matlab to yeh hoa ke punjabi army ne jo bangali qatal kiye wo sahi tha kion ke wo to pakistani the hi nahi. wo to bas hindu jese musalman the. asal sache musalman to west pakistanis the jinhon ne bangalion ko mar mar kar akhir kar apne 70 hazar fuji qaid main de kar, hindu se shikast kha kar, hindu ke samne hathiar dal kar, hindu ki qaid main ja kar apne aap ko manwaya hai. jis admi ne mehnat karke apne dimagh se punjabi army ko hindu ki qaid se churaya , un ko izzat se ghar laya, us ko hamare marde-e-momin ne phansi par charhaya. sahi kia kion ke wo ek sindhi tha or kion ke sindhi khurasan se qareeb nahi rehte is liye wo allah ke inaam yafta nahi hain. ok, this stupidness should be ended. you are just an idiot who lives in his own shell. quoting fake sufis and malangs and believe on their stupid predictions are itself displays the lack of faith. and by the way dajjal and mahdi are themselves a controversial theories. many many muslims believe that dajjal and mahdi concepts are made up by shias and has nothing to do with Islam. Look bro, there has been a few incidents in which muslims went a little uneasy. 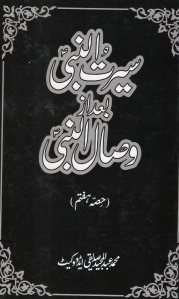 Ghazwa-e-Uhd main musalmaano ko kafi nuksaan hoa. Is had tak k rasool pak p.b.u.h k dandaan-e-mubarik bhi shaheed hoe. Kia wahan Allah saath nhi tha musalmaano k. Theek hai k hmara ek bazo alag ho gya hai, lekin hitler tak ki army siberia main thand se marr gai thi kyun k russain forces ne unko isolate kr dia tha apnay area main. same yahan hoa tha, beech main itnaa bara dushman jo betha tha.. but pakistan ka ab wala sara area connected hai, aur main phr wohi baat krun ga, musalmaano ko nuksaan pohanchta rehta hai, Allah test krta rehta hai... Rasool pak ki example saamne hai, jub unhein test kia gya tu pakistan kia cheez hain. subah ki kirnein tab phoot'ti hain, jab raat apni tareeki k urooj pe hoti hai. and we are very confident k jald hi change anay wali hai, we all are working for that in some way or another. aj se 10 years pehlay, hmari isi age ki youth ko esi kisi baat ka ilm nhi tha jo aj hmein ho rha hai.. you gotta be on the ground to smell the change. I am smelling it, be it Imran or be it someone else, but there is got to be the one! or we will make our own this time. hone k nate hum saab k apas mei unity hone chai!